Home Page › General Articles › Help! My Baby Has Colic, What To Do? Help! My Baby Has Colic, What To Do? Caring for your newborn baby is a wonderful experience. Nonetheless, it can bring with it some fairly demanding moments, such as when your baby has colic. As colic is believed to most likely stem from food issues, try switching to non-dairy products. If you’re breastfeeding, avoid dairy products for a few weeks, or if baby’s feeding from a bottle, ask your doctor for a suitable alternative. 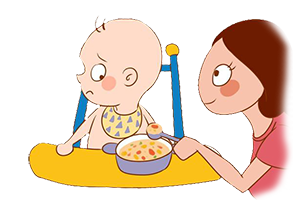 Watch baby for her responses and behaviour after each feed to see if this helps. To help baby feel calmer, try swaddling her, then swinging her gently in your arms with her stomach facing downwards. The added pressure on baby’s stomach can soothe her discomfort and may even help her to release painful gas. Gripe water is a herbal remedy that is generally well-tolerated in babies. Although there is no scientific evidence proving its efficacy, many parents testify that gripe water has helped soothe their baby’s gassiness and tummy discomfort. Remember also that it’s alright to ask for help. When things get a little too much for you, speak to your partner or family and come up with a schedule where you could take a break from baby duties for a while. This will give you a few hours to relax and refresh.